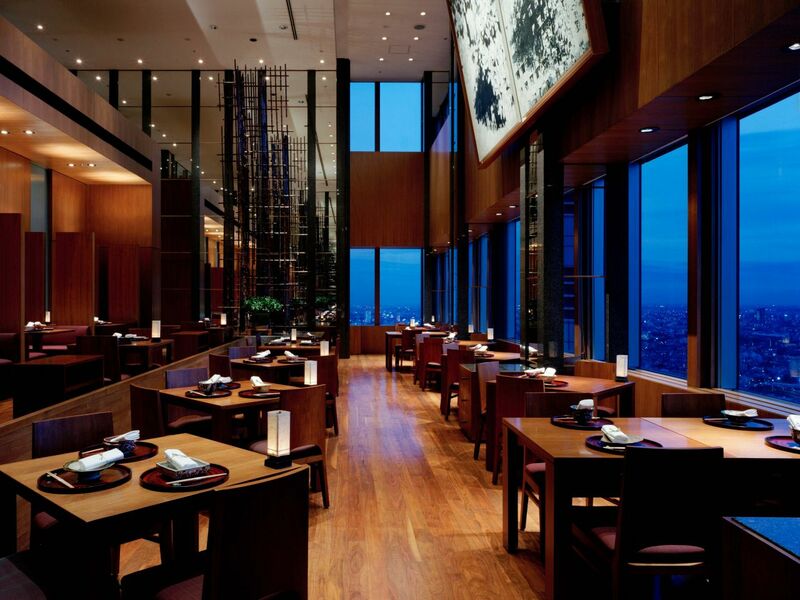 Guests can either enjoy a 360 degree view of the city from the iconic New York Grill & Bar on the 52nd floor or savor world class, authentic Japanese cuisine overlooking Mt. Fuji at Kozue. 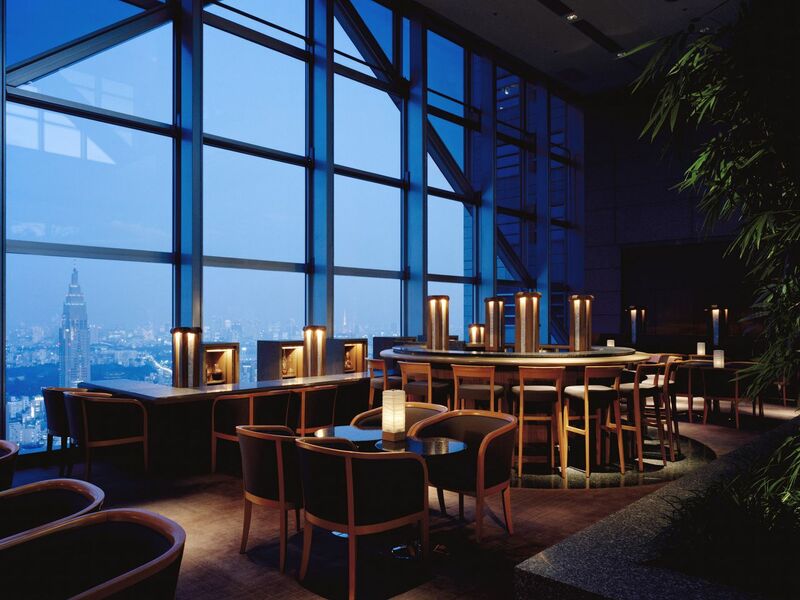 The hotel also features Girandole, a French Brasserie and The Peak Lounge & Bar which is located on the 41st floor atrium where guests go for a relaxing afternoon tea, a glass of Champagne or original cocktails. 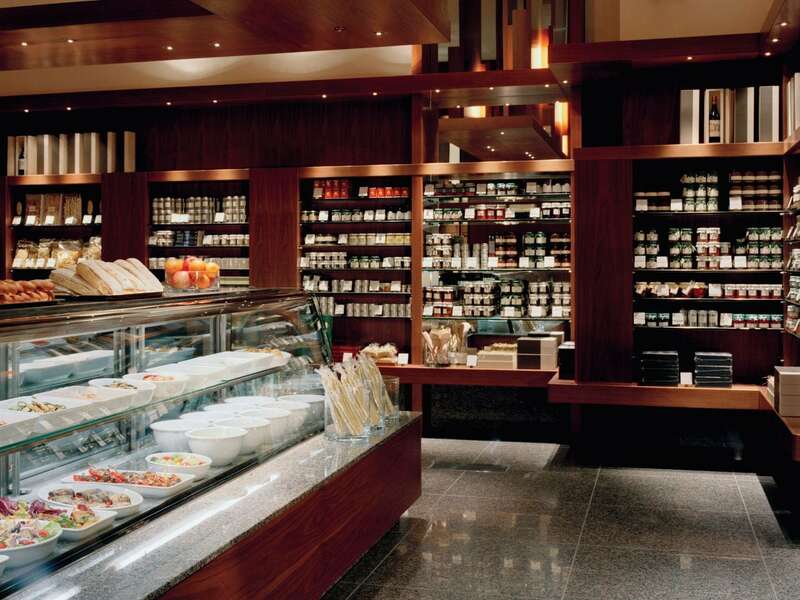 On the ground level, guests can find Delicatessen and Pastry Boutique, offering a wide range of homemade items. We kindly request that all guests refrain from wearing the following garments when patronising the hotel’s restaurants, lounge and bars: Dress shorts (restricted after 5 p.m.); Beach sandals; Male sportswear such as training jerseys, tank tops or other sleeveless garments. 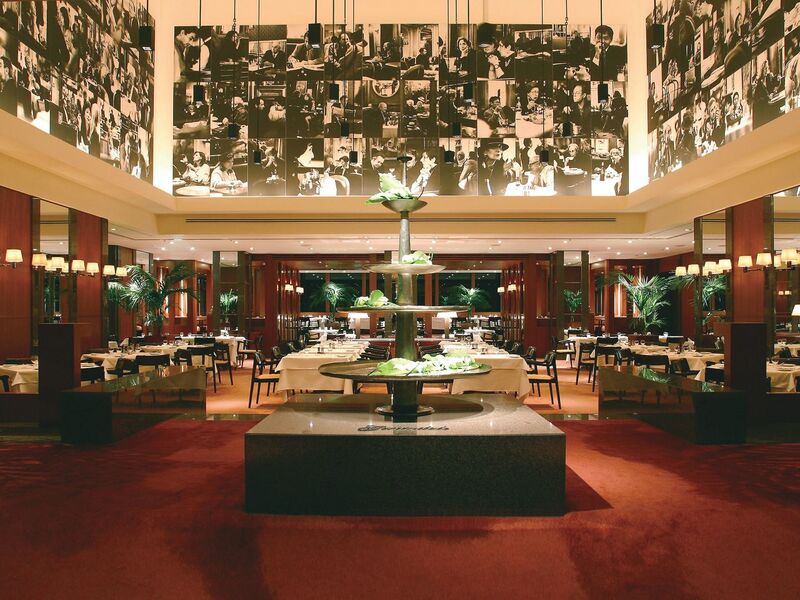 Dine at Girandole, a relaxed and romantic culinary spot. 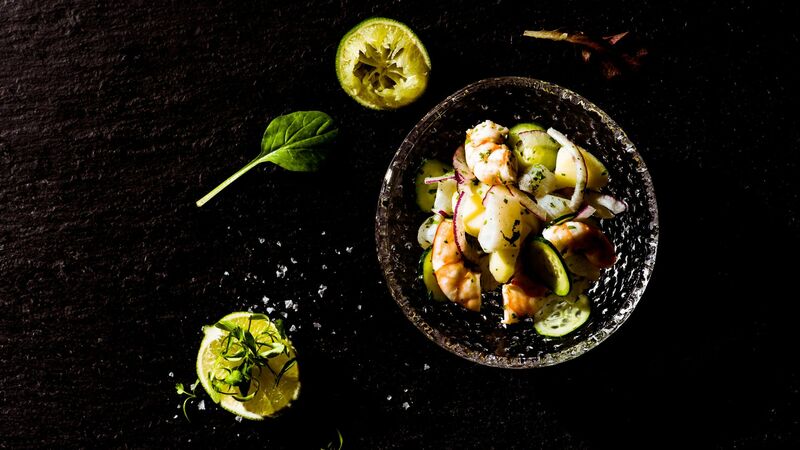 Girandole offers all day dining and simple, delicious fare that is satisfyingly authentic. The dinner menu highlights signature brasserie dishes and the lunch menu also includes selected Asian favourites. In the morning, guests may enjoy a hearty buffet in addition to Western and Japanese style breakfasts. A stunning double level collage of 144 black and white photographs depicting European cafe life sets a distinctive ambiance. Weekdays: 6:30-10:30 a.m., Weekends and holidays: 6:30-11:00 a.m. Weekdays: 11:00 a.m. - 3:00 p.m. 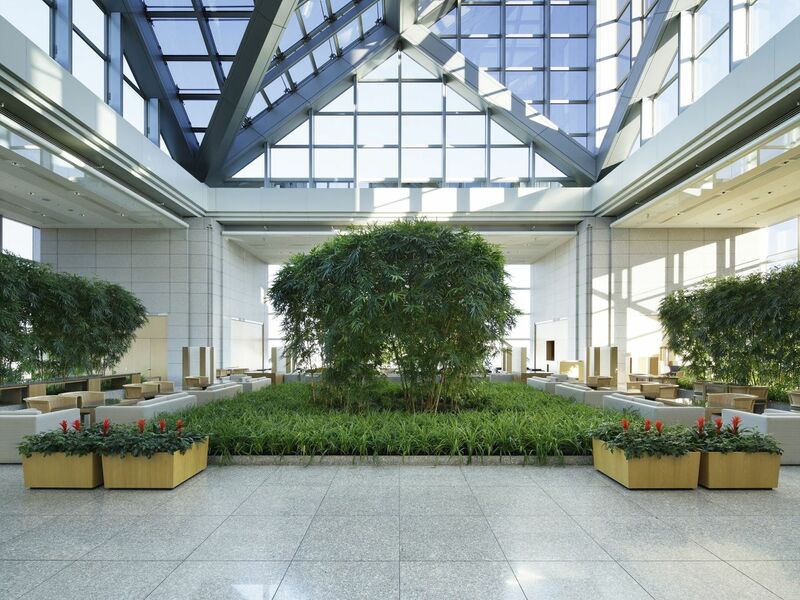 Weekends and holidays: 11:30 a.m. - 3:00 p.m.
A skylit bamboo garden, creating a mood of serenity both night and day, is the centerpiece of The Peak Lounge. Washed with natural light and offering spectacular views of Tokyo, the garden setting is perfect for the enjoyment of luscious desserts and fresh homemade cakes, classical English afternoon tea, light cuisine and cocktails. We kindly request that all guests refrain from wearing the following garments at The Peak Lounge: Male sportswear such as training jerseys, tank tops or other sleeveless garments. 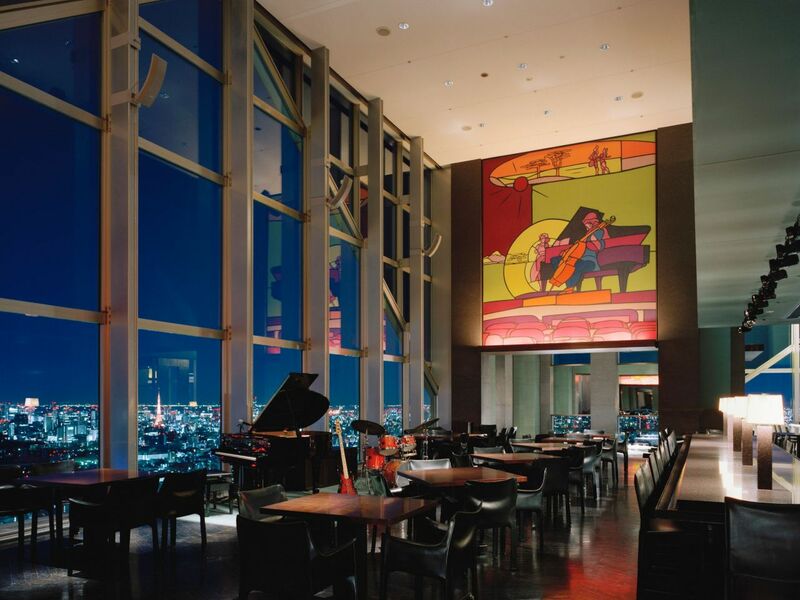 The stunning New York Bar, Tokyo’s most spectacular venue for live music, features jazz by top international artists nightly. 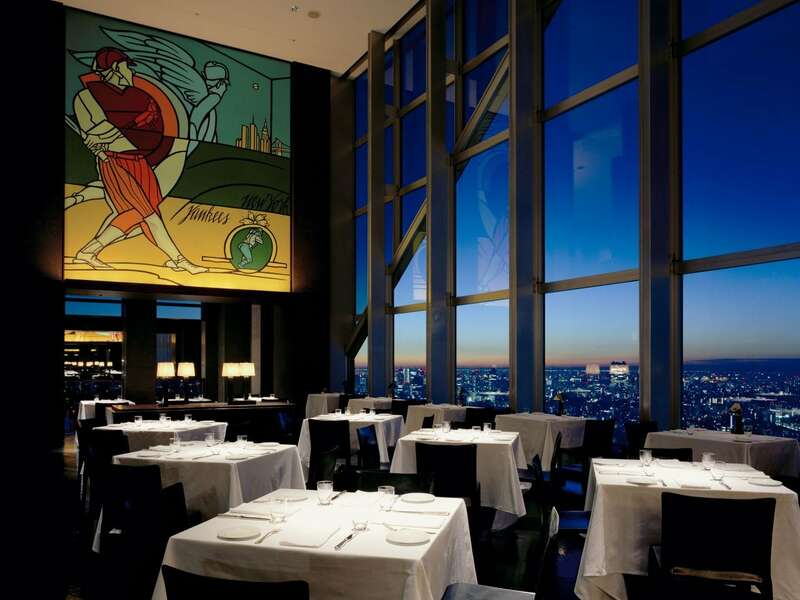 New York Bar offers classic and original cocktails, premium cognac and brandies, and the largest selection of American wines in Japan, in addition to a casual dining menu. New York Bar features live entertainment with jazz performances every night; Monday to Wednesday from 8:00–11:45 p.m., Thursday to Saturday from 8:00 p.m. to 0:30 a.m., Sunday from 7:00–10:45 p.m.
A cover charge of 2,500 JPY (exclusive of tax) is applied Monday through Saturday from 8:00 p.m., and Sunday from 7:00 p.m. (staying guests are exempt). *Cover charge of 2,500 JPY is applied Monday through Saturday from 8:00 p.m., Sunday from 7:00 p.m.
Thursday to Saturday: 5:00 p.m. - 1:00 a.m.
We kindly request that all guests refrain from wearing the following garments at New York Bar: Dress shorts (restricted after 5:00 p.m.); Beach sandals; Male sportswear such as training jerseys, tank tops or other sleeveless garments. Access to New York Bar is not authorized by law for guests under the age of 20. Guests under the age of 20 may not enter even if accompanied by a parent or adult guardian. The Peak Bar, with its magical setting of a bamboo garden softly lit by more than fifty washi paper lanterns overlooking a glittering sea of city lights below, offers classic cocktails and light cuisine for the perfect romantic rendezvous. Experience an evening of free-flowing wine, beer and cocktails with specially crafted canapes. We kindly request that all guests refrain from wearing the following garments at The Peak Bar: Male sportswear such as training jerseys, tank tops or other sleeveless garments. 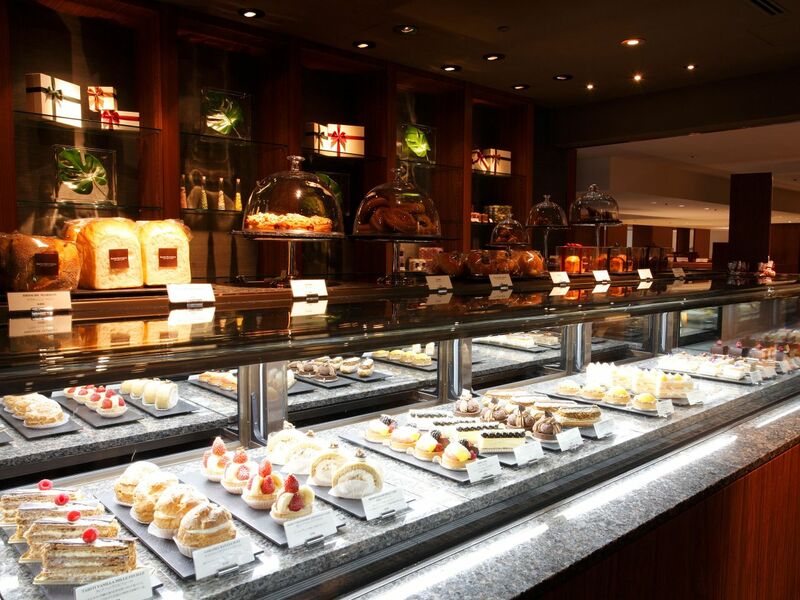 Near the hotel entrance on the second floor is the Pastry Boutique offering specialty cakes, pastries, and exquisite fresh bakery items, made to order and presented in beautiful Park Hyatt packaging. The Pastry Boutique's refined walnut interior is a warm and inviting introduction to the rest of the hotel's delights. *While seating is not available, purchases can be enjoyed at Delicatessen. Park Hyatt Tokyo’s Delicatessen is a chic gourmet specialty shop situated on the first floor of the Shinjuku Park Tower's airy light-filled atrium. The Delicatessen features its own original branded items including jams, olive oils, condiments and teas, all carefully chosen by our team of chefs to complement its home-style recipes. *Please order 3 days prior to the desired delivery date. We apologize in advance for any delayed deliveries due to high volume of orders. For reservations and inquiries, please call Delicatessen: +81 3 5323 3635. For your dining pleasure, 24-hour Room Service is provided. 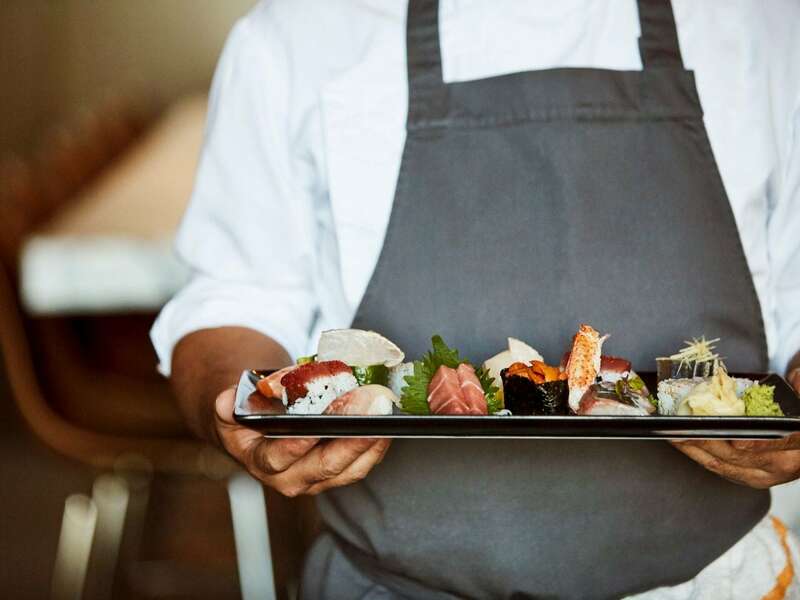 The menu of seasonal offerings includes tantalising salads and a mouth-watering array of Asian, American and continental favourites, covering everything from breakfast and light meals through to filling mains and dessert. An array of beverages also available, and includes wines carefully selected by our sommeliers, alongside various other alcoholic and non-alcoholic options. 24-hour room service is provided. To place your order, please dial extension 30 from your guestroom.